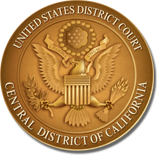 The United States District Court for the Central District of California announces the appointment of Maria A. Audero as a United States Magistrate Judge. Judge Audero, who was sworn in on June 11, 2018, will sit in Los Angeles, the Court’s Western Division. Judge Audero succeeds former Magistrate Judge Andrew J. Wistrich. Before her appointment as a Magistrate Judge, Judge Audero worked as a partner at Paul Hastings LLP, where she litigated state and federal wage-and-hour nationwide class and collective actions, discrimination and pay equity cases, equal employment opportunity cases, and government contract affirmative action matters. Before working at Paul Hastings, Judge Audero worked as an associate at Jeffer, Mangels, Butler & Marmaro LLP, where she practiced employment law, and at Barger & Wolen LLP, where she litigated insurance bad faith matters. Judge Audero has served on the Board of Directors of several organizations, including the Inner City Law Center, the National Employment Law Council, the Employment Round Table of Southern California, and the Southern California Advisory Board of the Women in Law Enforcement Forum. She also has held leadership positions in various bar associations and was appointed by California Governor Jerry Brown as Commissioner of the California Fair Political Practices Commission. In addition, Judge Audero provided pro bono legal assistance to several organizations, including a Community of Friends, ACLU of Southern California, Children’s Bureau of Southern California, Constitutional Rights Foundation, Junior Achievement of Southern California, and the Los Angeles County Bar Domestic Violence Project. Judge Audero earned her J.D. from Southwestern University School of Law where she served as Associate Editor of the Law Review. Including the position now occupied by Judge Audero, the Central District of California has 24 authorized full-time Magistrate Judges and one part-time position. The Central District of California is comprised of the counties of Los Angeles, Orange, Riverside, San Bernardino, Ventura, Santa Barbara and San Luis Obispo. It serves approximately 19.6 million people – nearly half the population of the State of California.